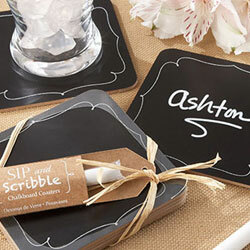 Chalk this one up to cute and sweet! 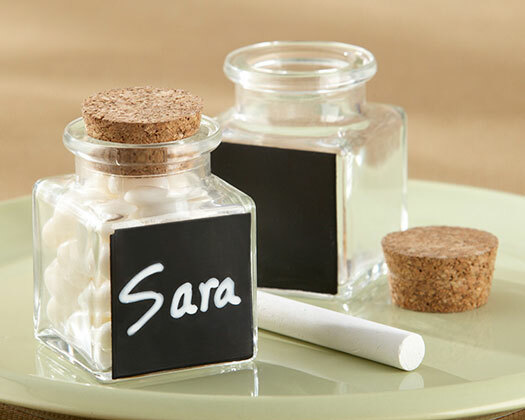 Use these stylish, square favor jars as place card holders--just write your guests' names on the chalkboard. 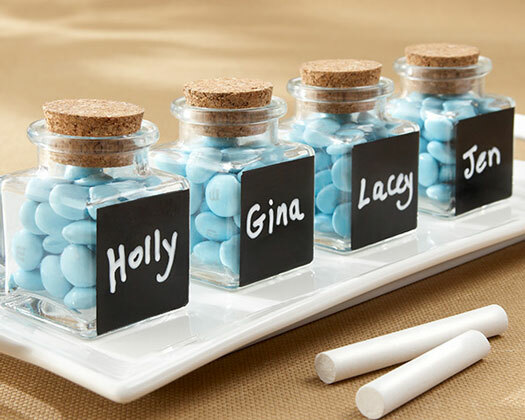 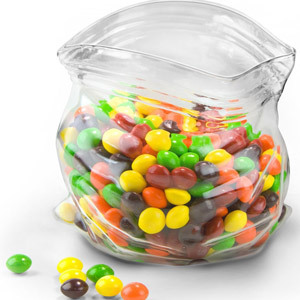 Or let your guests write whatever they want (put a few pieces of colored chalk on your tables) before they eat the sweets and take the jar home!